Excellent ornamental hardy shrub for most well-drained soils and full sun positions. It is a hybrid between Lsp. cordifolium x Lsp. tottum and is a late season flowerer. Relatively fast growing landscape shrub for coastal or inland gardens. 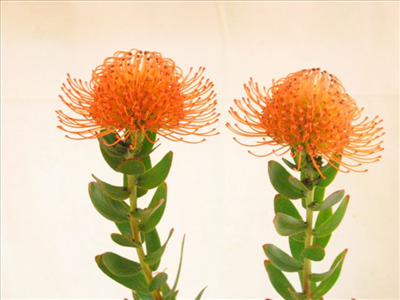 The two-tone orange-red flowers make a great long stemmed cut flower. Grown commercially.